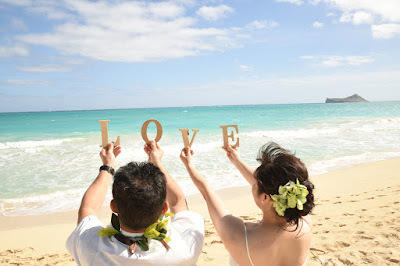 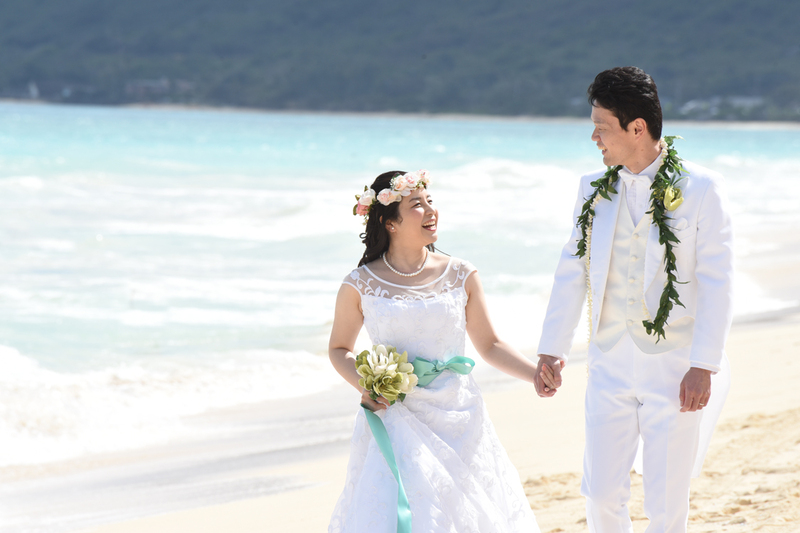 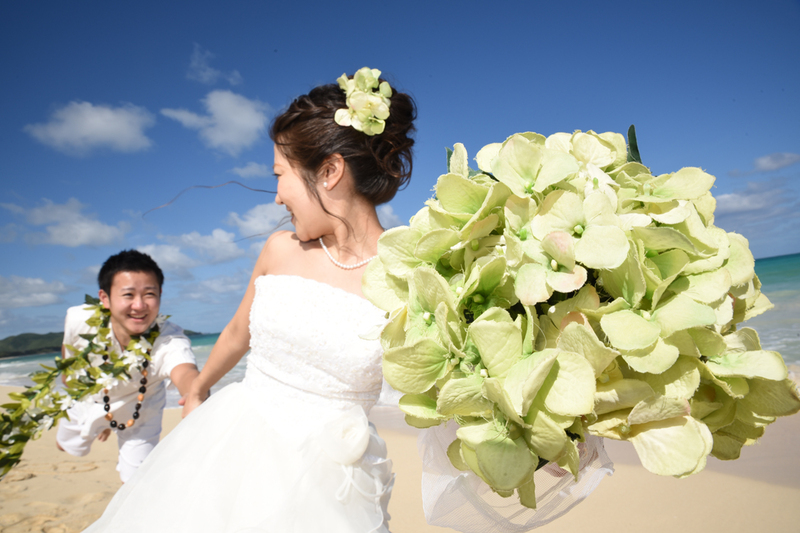 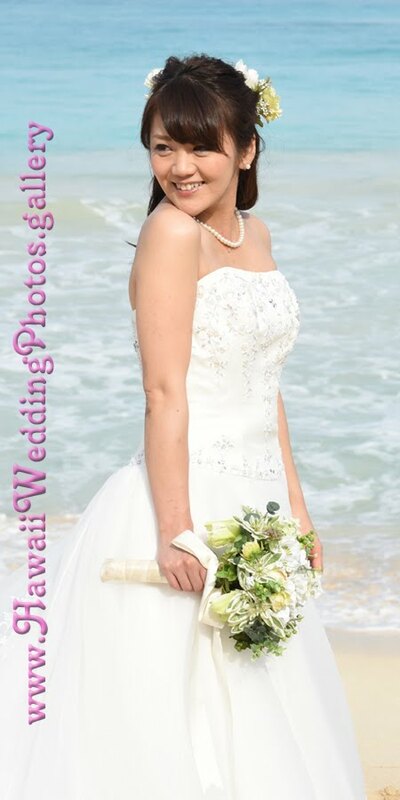 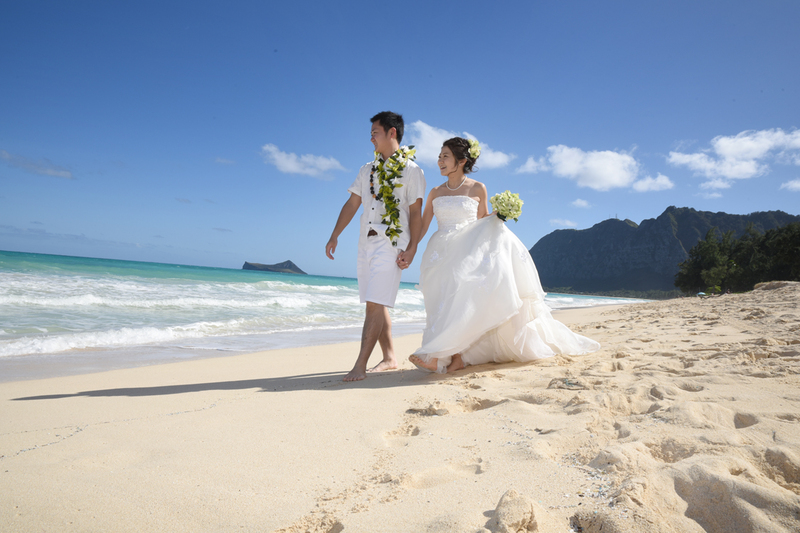 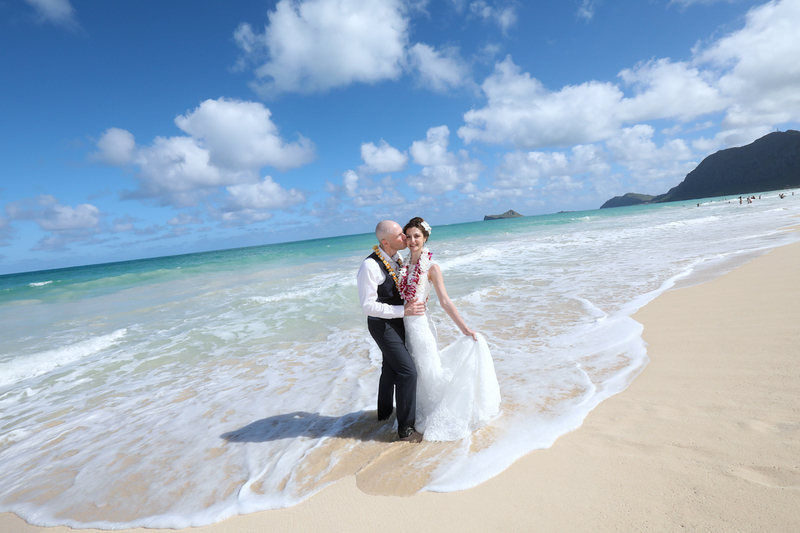 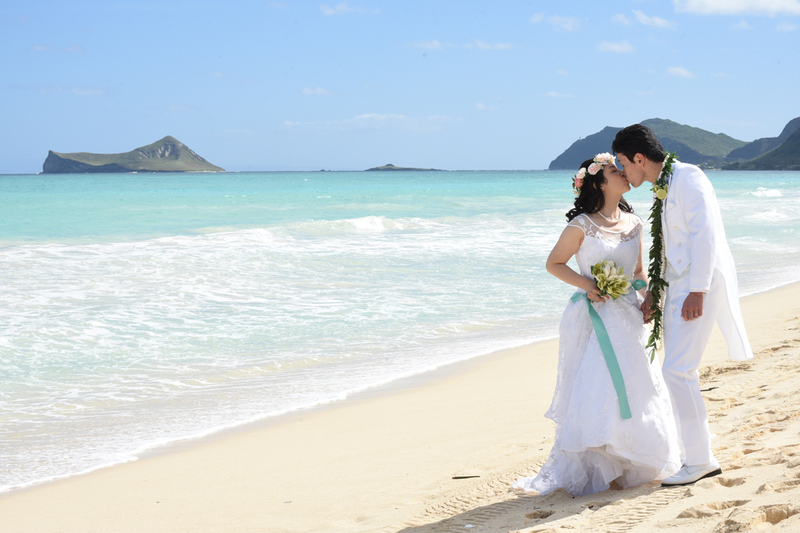 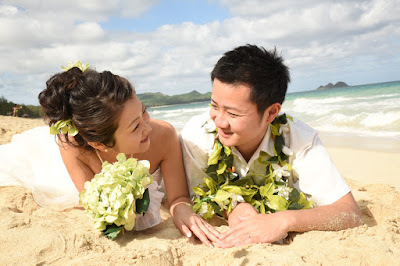 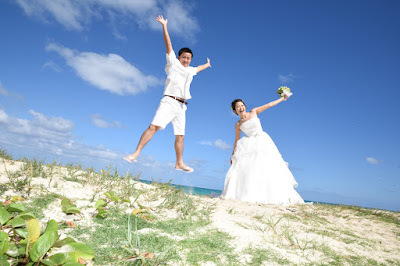 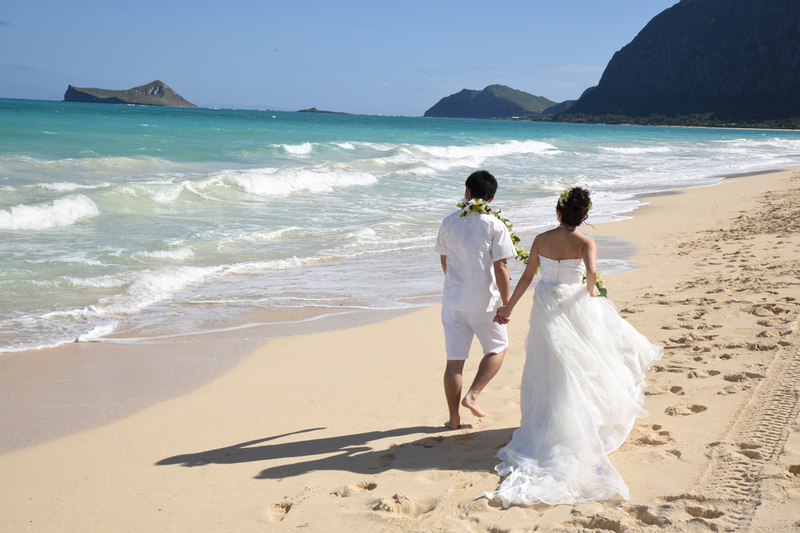 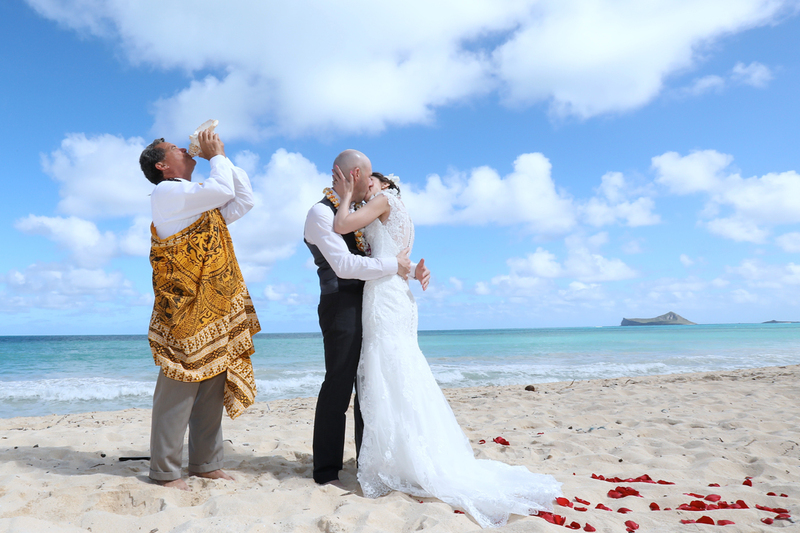 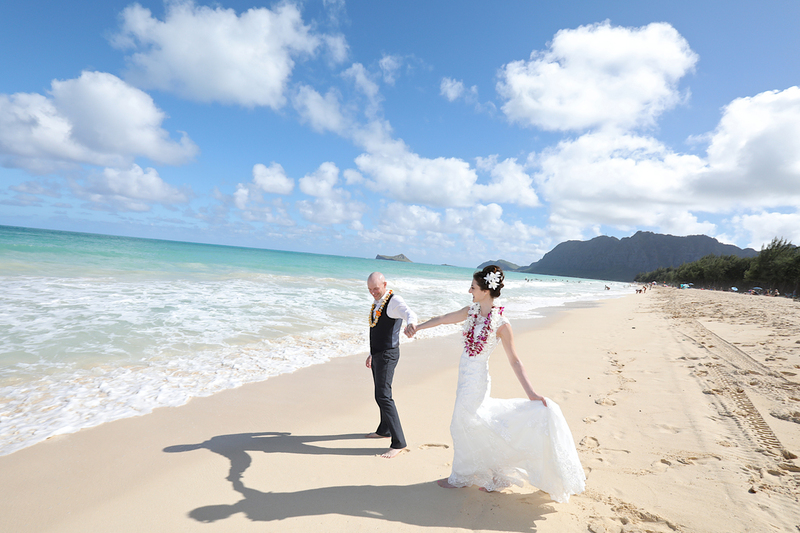 Eric and Alice are married at one of the most stunning beaches on Oahu, Waimanalo Beach. 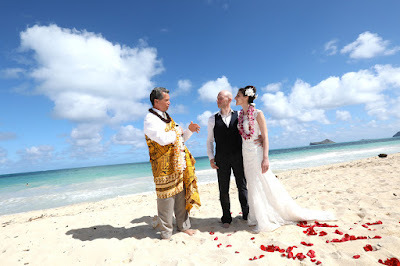 Photos by Photographer Vera, ceremony by Rev Kimo. 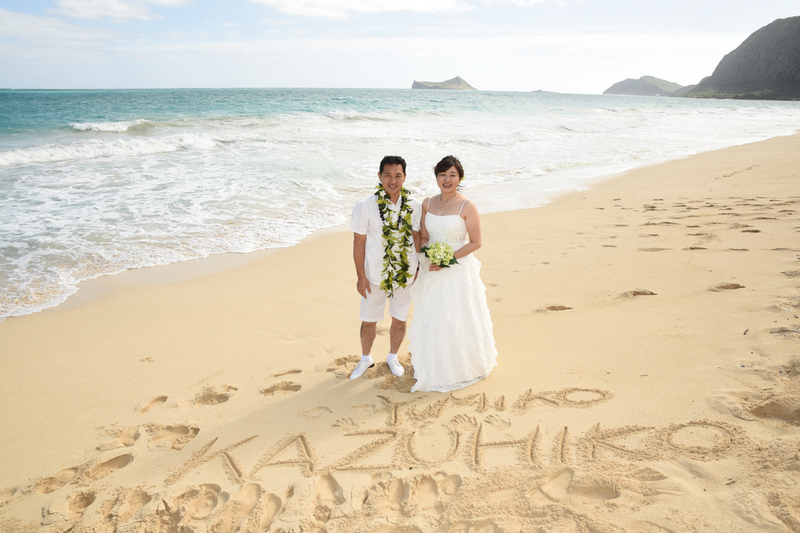 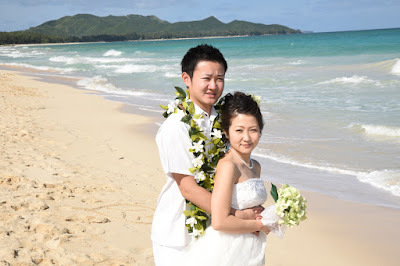 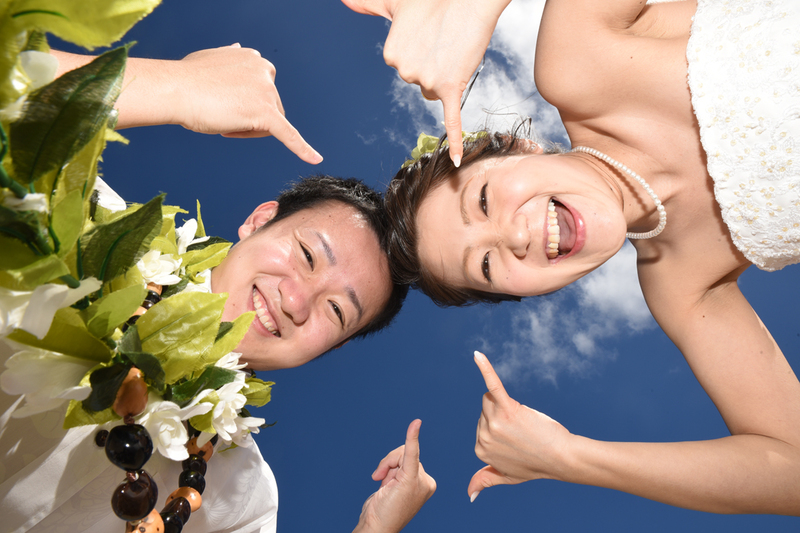 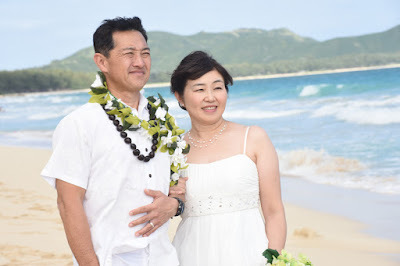 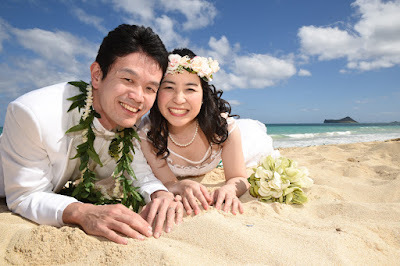 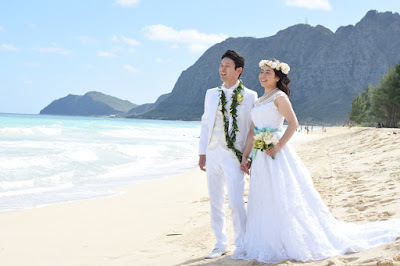 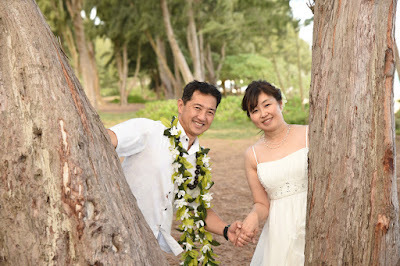 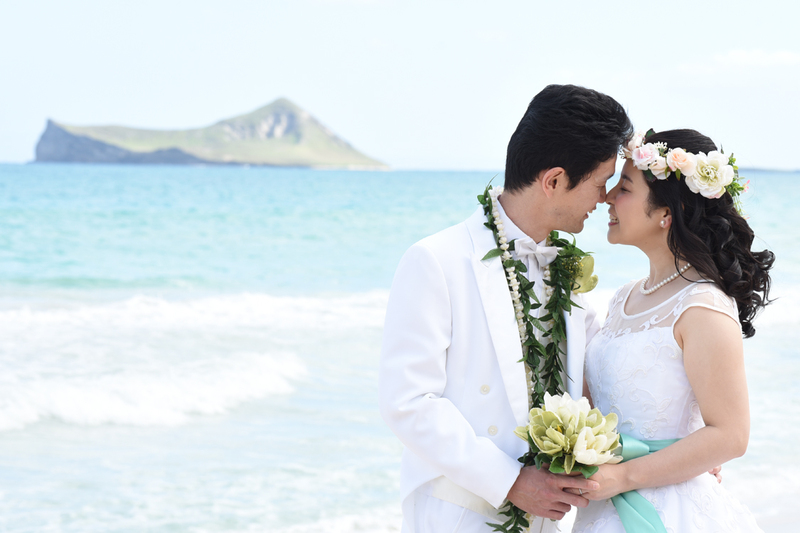 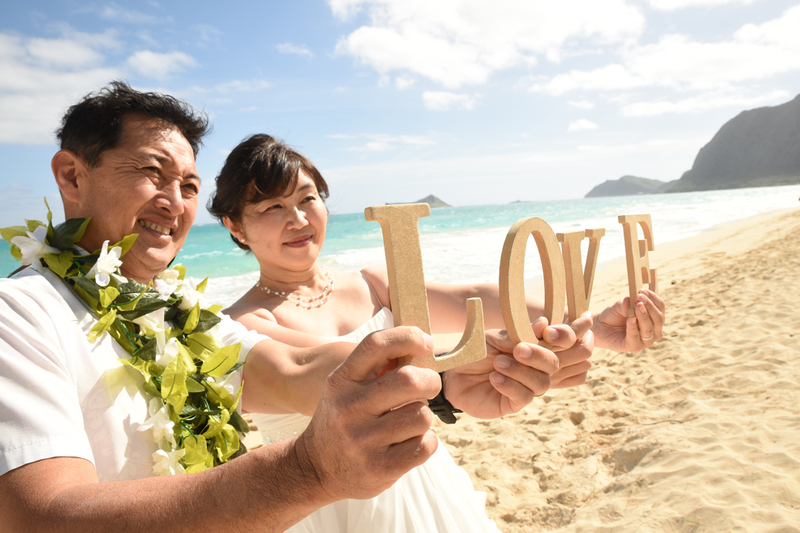 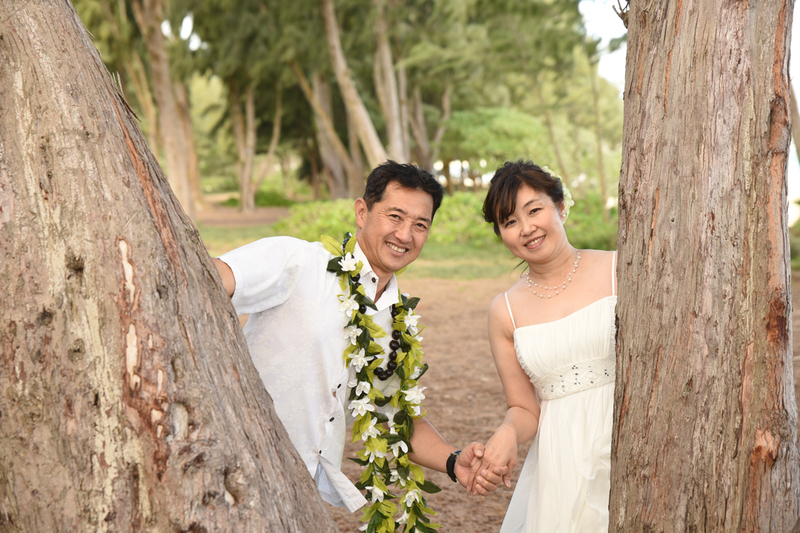 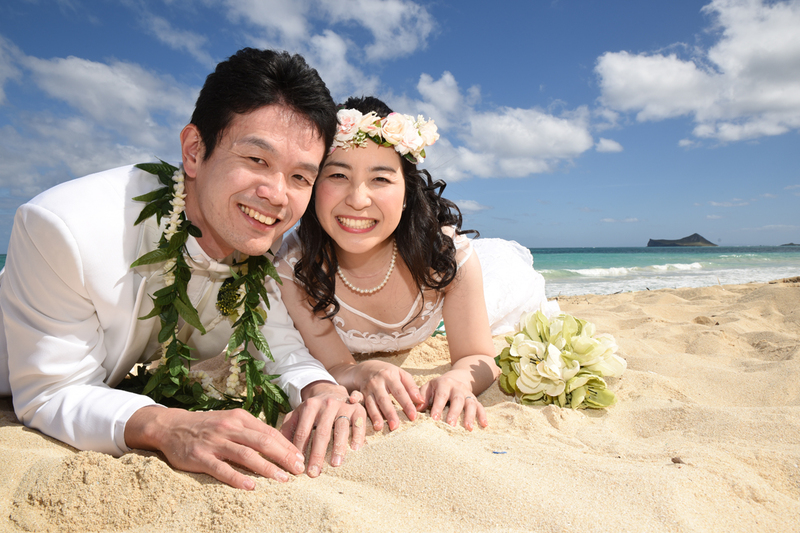 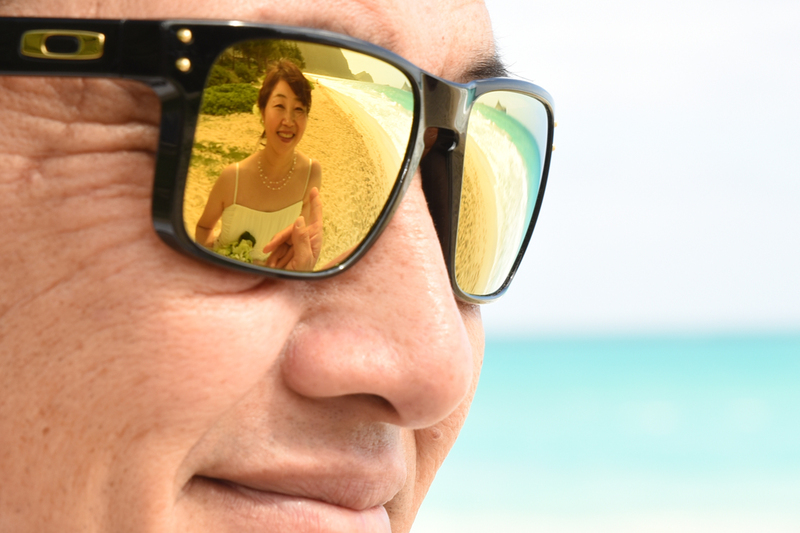 Kazuhiko and Yumiko on their Waimanalo Beach honeymoon photo tour with Photographer Robert Hamilton in East Oahu. 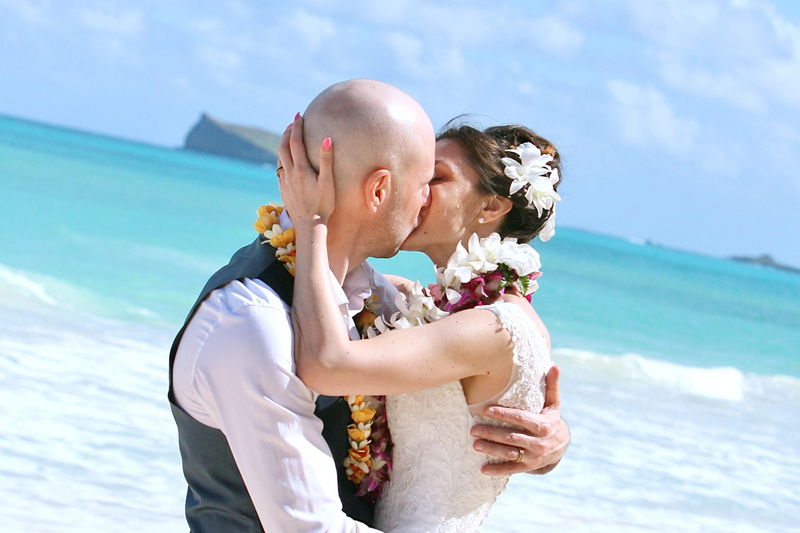 A kiss on the hand is better than two on the cheek.